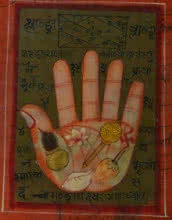 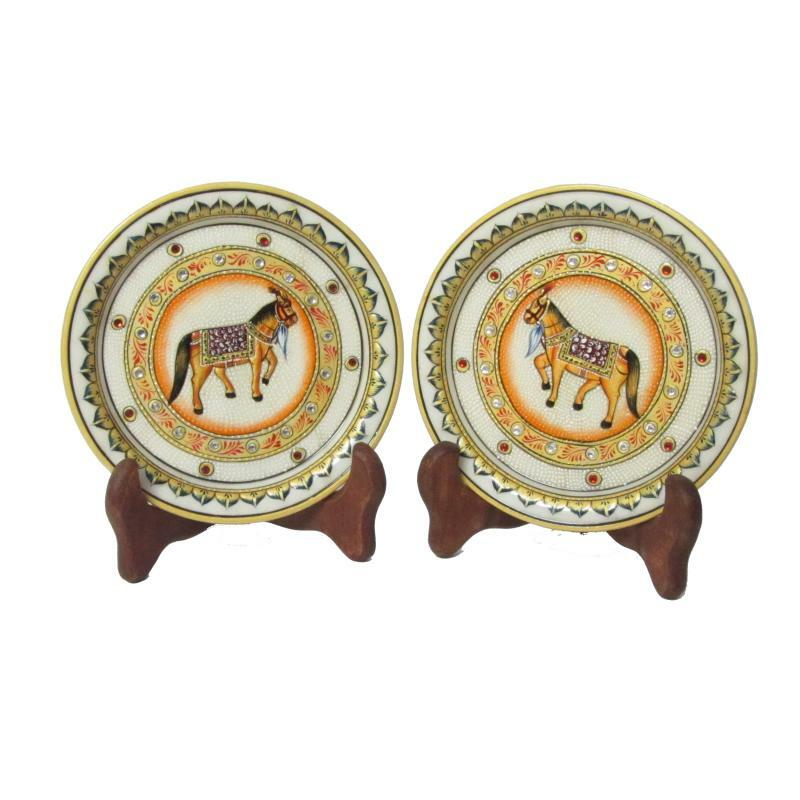 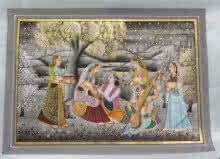 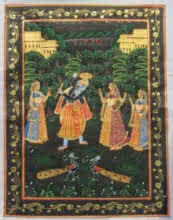 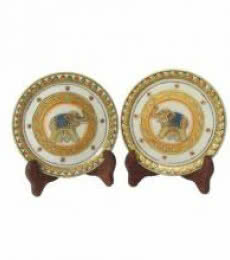 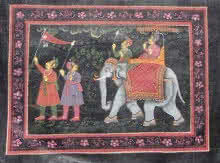 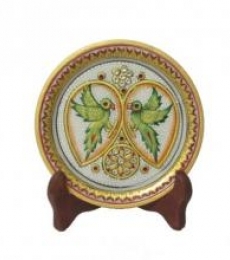 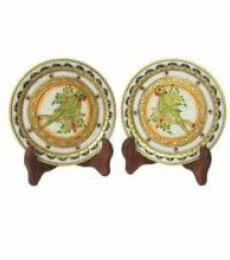 Decorative Marble Plates (set of 2) with rich kundan work. 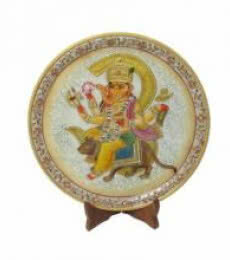 This Marble plate comes with a wooden stand to be placed on table top. 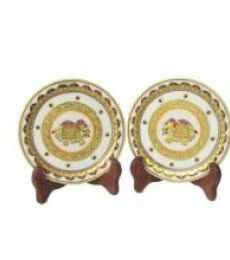 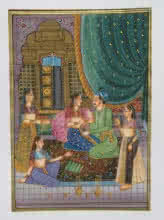 On request, this plate can also be packed in rich velvet box which makes this a perfect gift item.